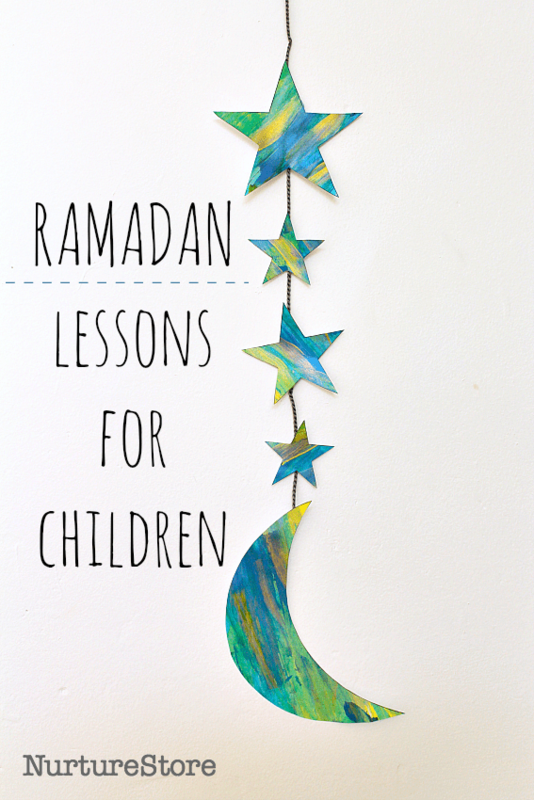 If you are learning about Ramadan with your children use these Ramadan lesson plans to include Islamic culture and religion lessons, arts, crafts, and math. 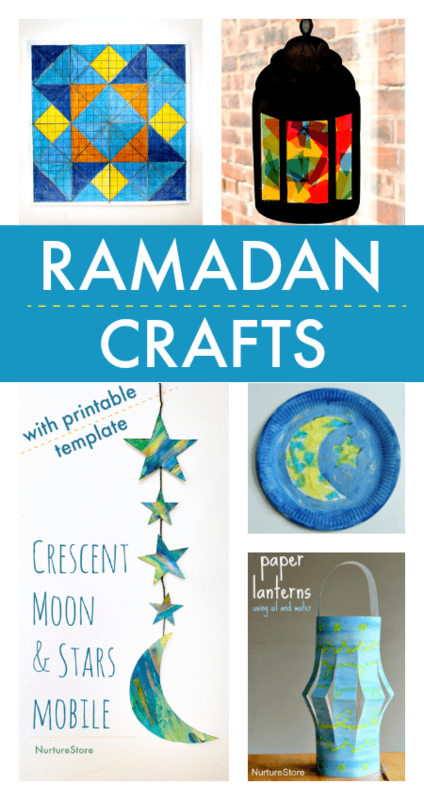 Use these easy Ramadan crafts for children to decorate your home or as part of a project to learn about Ramadan. In this lesson you’ll learn what Ramadan is and how Muslim families celebrate Ramadan. You’ll learn about the five pillars of Islam and how children can join in with the special month. You’ll find videos about Ramadan and Eid, and links to Ramadan crafts you can make. 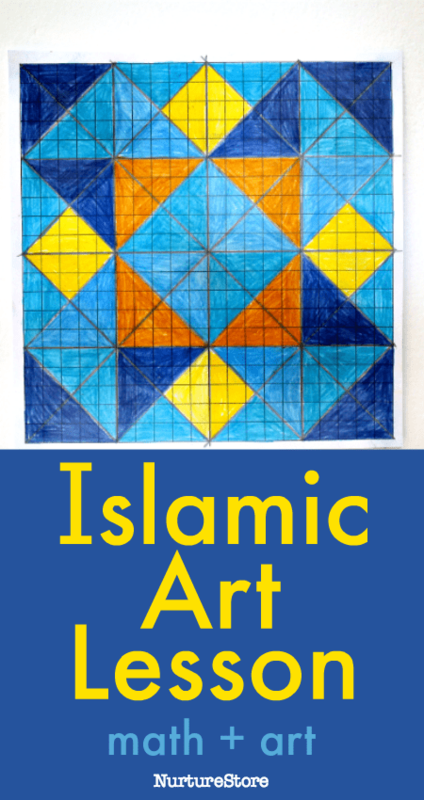 Let’s combine math and art to create a beautiful geometric art lesson inspired by Islamic art. We’ll be learning about symmetry and creating pictures that include squares, triangles, and repeating patterns. 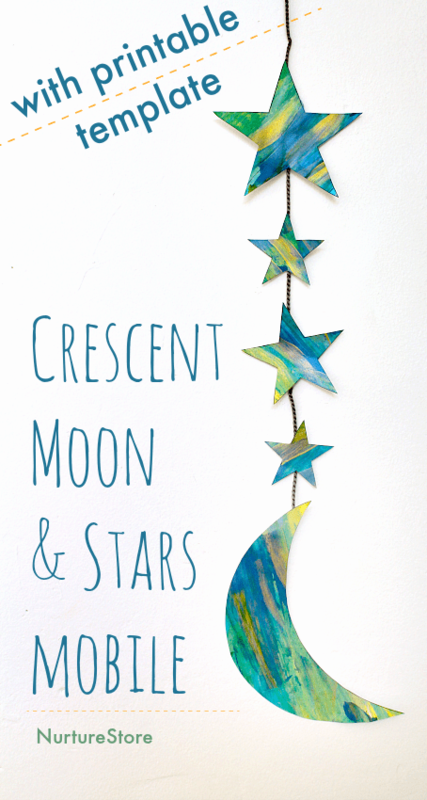 Create a beautiful crescent moon and stars mobile with this free printable. It’s the perfect Ramadan craft or as an art project if you’re learning about space. 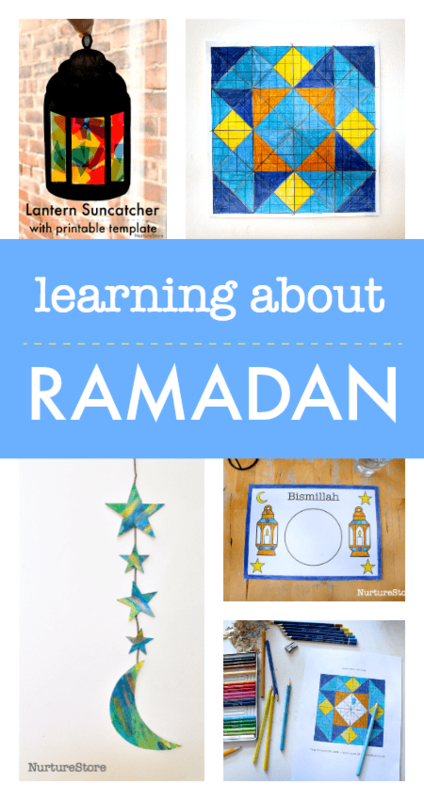 Here’s an ever-so-pretty, easy Ramadan lantern craft which comes with a printable lantern template. 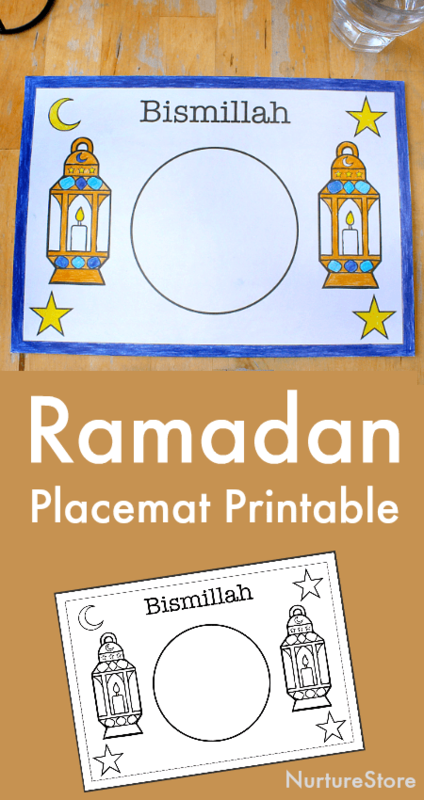 Use this free Ramadan placemat printable to decorate your iftar table or as part of our unit Learning About Ramadan.